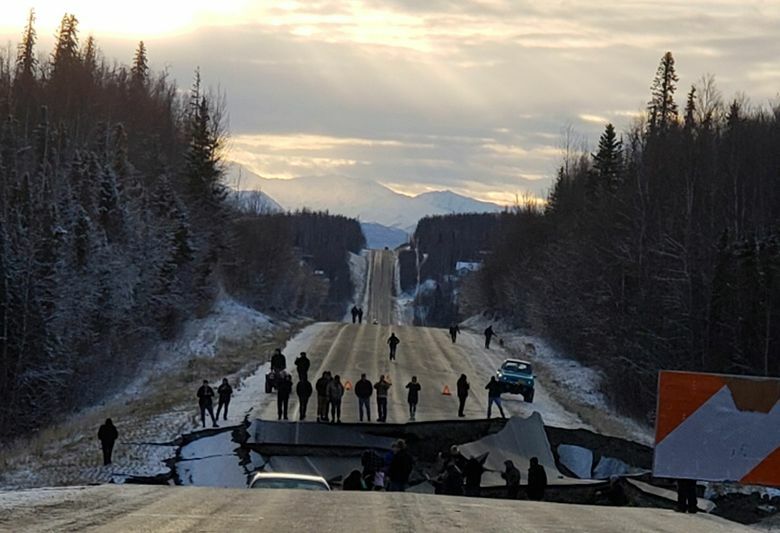 Some photos posted on social media show people even climbing into large cracks on the buckled road in Wasilla north of Anchorage, an Alaska State Trooper said. And aftershocks continued. 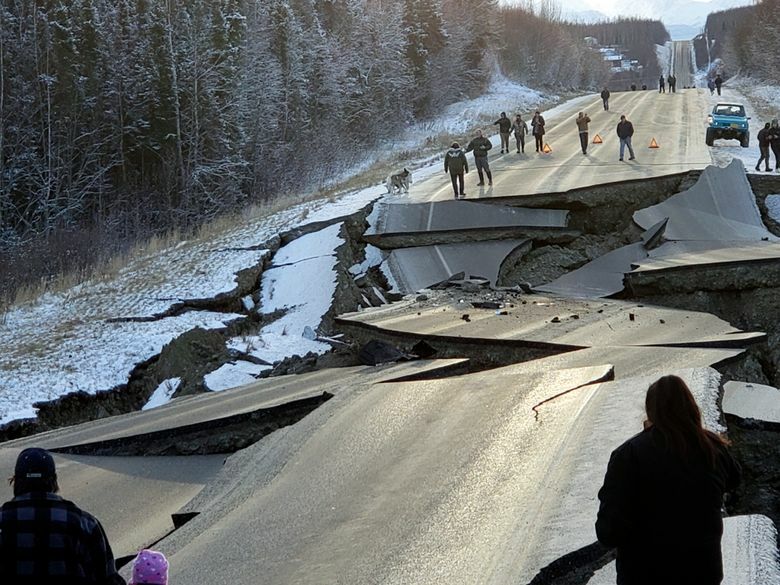 ANCHORAGE — With sizable shockwaves still emanating from last week’s powerful earthquake, authorities in Alaska are urging the selfie-taking public to stay away from a road that was badly mangled. 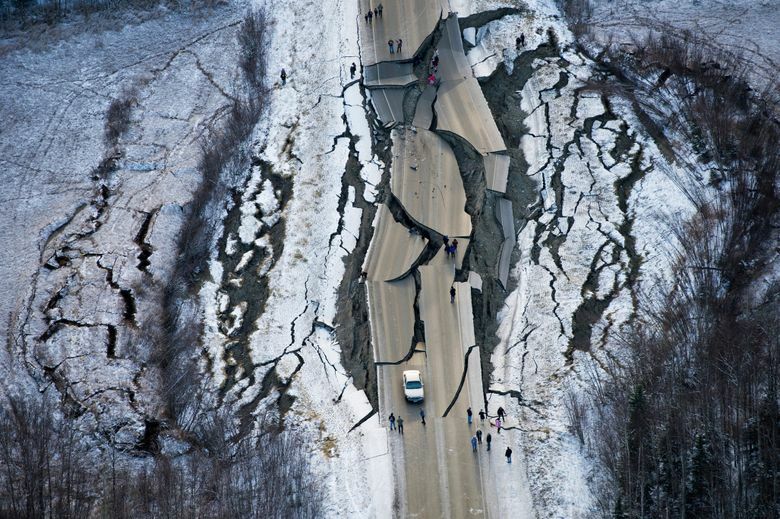 Friday’s earthquake damaged roads and structures, cracked roadways and collapsed highway ramps. But no catastrophic damage, injuries or deaths have been reported.